Parallèlement au concours miss client 2011, un travail de recherche bibliographique est en cours ici sur les agents virtuels, agents conversationnels, agents de recommandation, shopbot etc… qui s’incarnent ou non dans des avatars. Wang, H., & Doong, H. (2010). Argument form and spokesperson type: The recommendation strategy of virtual salespersons. International Journal of Information Management, 30(6), 493-501. doi:10.1016/j.ijinfomgt.2010.03.006. Qiu, L., & Benbasat, I. (2009). Evaluating Anthropomorphic Product Recommendation Agents: A Social Relationship Perspective to Designing Information Systems. Journal of Management Information Systems, 25(4), 145-181. WANG, W., & BENBASAT, I. (2008). Attributions of Trust in Decision Support Technologies: A Study of Recommendation Agents for E-Commerce. Journal of Management Information Systems, 24(4), 249-273. Bo, X., & Benbasat, I. (2007). E-COMMERCE PRODUCT RECOMMENDATION AGENTS: USE, CHARACTERISTICS, AND IMPACT. MIS Quarterly, 31(1), 137-209. Hess, T., Fuller, M., & Campbell, D. (2009). Designing Interfaces with Social Presence: Using Vividness and Extraversion to Create Social Recommendation Agents. Journal of the Association for Information Systems, 10(12), 889-919. Komiak, S., & Benbasat, I. (2006). THE EFFECTS OF PERSONALIZATION AND FAMILIARITY ON TRUST AND ADOPTION OF RECOMMENDATION AGENTS. MIS Quarterly, 30(4), 941-960. Bélisle, J., & Bodur, H. (2010). Avatars as information: Perception of consumers based on their avatars in virtual worlds. Psychology & Marketing, 27(8), 741-765. Holzwarth, M., Janiszewski, C., & Neumann, M. (2006). The Influence of Avatars on Online Consumer Shopping Behavior. Journal of Marketing, 70(4), 19-36. Wang, L., Baker, J., Wagner, J., & Wakefield, K. (2007). Can a Retail Web Site Be Social?. Journal of Marketing, 71(3), 143-157. Parmentyier, G., & Rolland, S. (2009). Consumers in Virtual Worlds: Identity Building and Consuming Experience in Second Life. 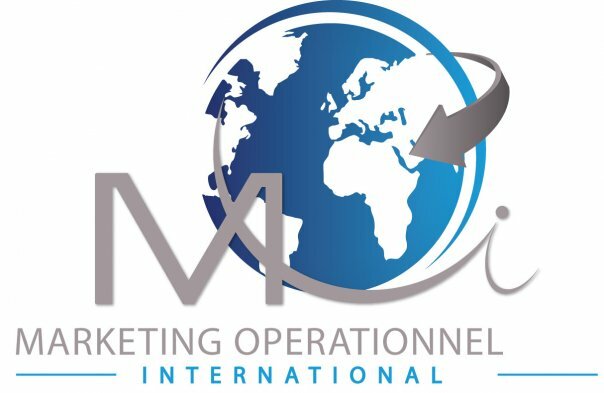 Recherche et Applications en Marketing (English Edition), 24(3), 43-55. Diesbach B. P., Galan J.-Ph. (2006), L’agent virtuel incarné dans la distribution en ligne : cadre théorique et revue de littérature, 5ème Journée Nantaise de Recherche sur le e-Marketing, Septembre 2006, CD-ROM. Bickmore Timothy (2003), Relational agents, Effective change through human-computer relationships, Phd Dissertation, MID, Medialab, 284pp. Cassell J., Bickmore, T., Campbell, L., Vilhjálmsson H., Yan, H. (2000b), More than just a pretty face: Conversational protocols and the affordances of embodiment, Working paper, MIT, Gesture and Narrative Language Group. Cooke A.D.J., Sujan H., Sujan M., Weitz B. A. (2002), Marketing the unfamiliar: The role of context and item-specific information in electronic-agent recommendations, Research notes and communications, Journal of Marketing Research, 39, 4, 488-497. Sivaramakrishnan S., Tang Z. (2002), Giving an « e-Human Touch » to e-Retailing: an Examination of the Effectiveness of Virtual Salespeople, Advances in ConsumerResearch, 29, 492-493. - Date limite de dépôt des dossiers de candidature 2013 : " 25 mai 2012"
- 19-20 Octobre 2011 : "Soutenance des mémoires"
- 28 septembre 2011 : "Journée de rentrée"
- 1er Juin 2011 : "dépôt des dossiers de candidature"
- 5 mai 2011 : Remise des diplômes et table ronde 2011- année mobile .